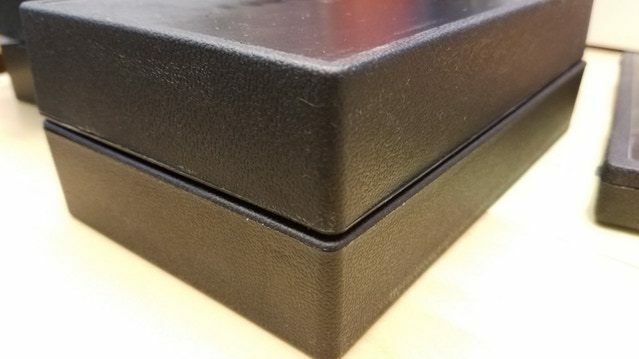 As part of the highly-successful Kickstarter project for The Fantasy Trip, we've been working with our partners at GPI to design a new plastic Pocket Box. 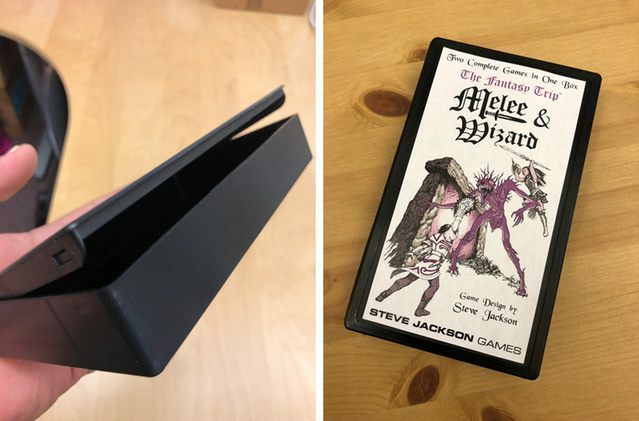 If you've followed Steve Jackson Games since the eighties, you remember the classic Pocket Box games. Car Wars. Illuminati. Ogre. Necromancer. Those are only a few of the titles that Steve Jackson Games released in the black plastic Pocket Box . . . and we're happy to report that we're taking steps to publish reprints/reproductions of those games (and others!). These will be retro-fueled designs, near-exact reprints of the original games to the point that you'll even get the joy of cutting out the counters! We're producing these for those of you who meet us at conventions and say things along the lines of " . . . and then my mother threw away my collection when I left home after high school." Well, get ready to replace those games that were lost to the trash! We're not yet ready to reveal the exact launch date, but we can say that we'll be bringing the Pocket Box project to Kickstarter in early 2019. If you're not yet following us on Kickstarter, please click through to the Steve Jackson Games profile and hit the follow button. You won't want to miss out on your chance to help us bring back these hits of the eighties!